There seems to be an endless need for alphabet games in early childhood classrooms. 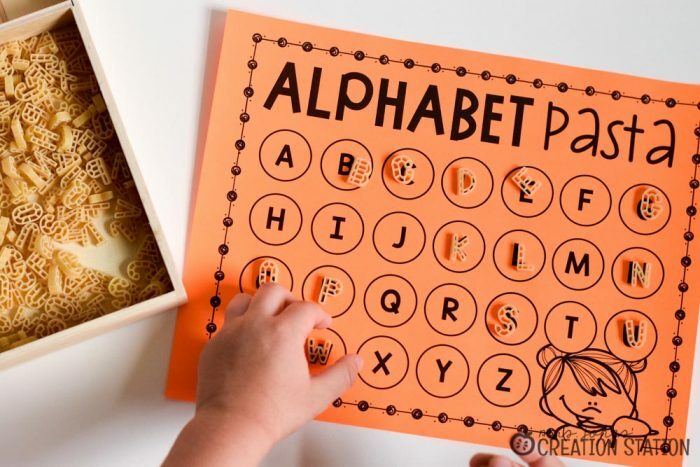 With 26 letters and even more sounds it is no surprise teachers are constantly searching for a new alphabet activity to practice letters in a new way. With all the talk and action about removing kitchens from early childhood classrooms, it is up to teachers to prove that they are perfect for our little learners. While some administrators see play as the only reason for having kitchens in the classroom I would be happy to prove them wrong. My classroom kitchen is always used as a literacy station for my learners. How do I bring literacy and cooking together? 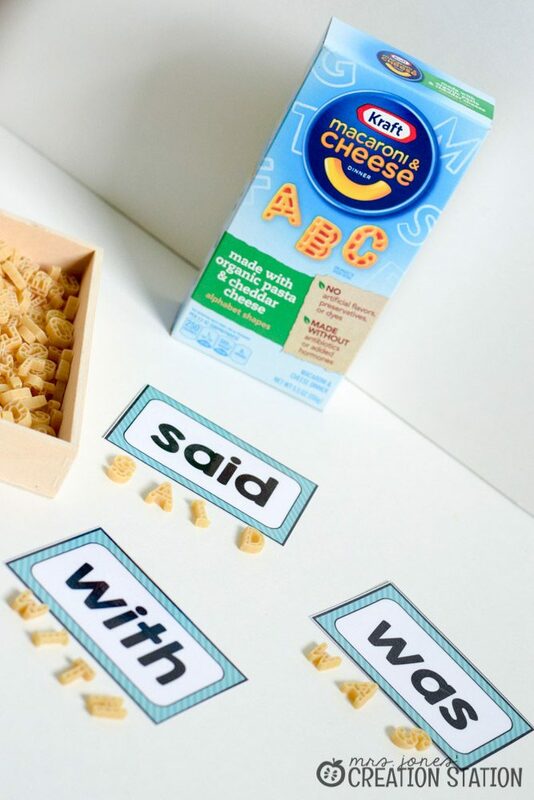 It’s all about being clever and one way is to bring some food into your literacy centers. 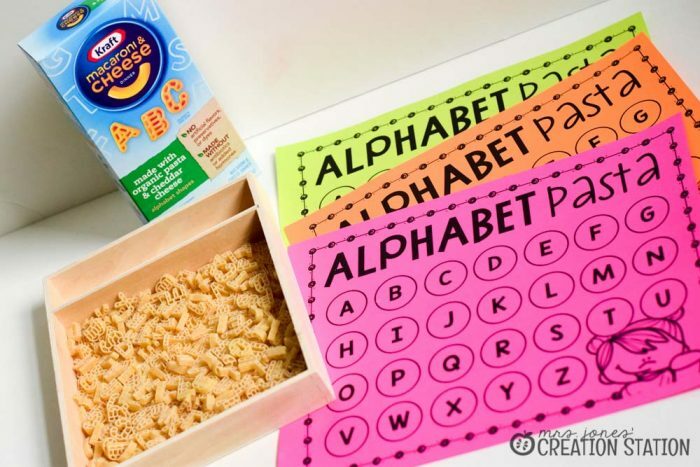 There are SO many resources available now from alphabet pretzels , to cereal , and cookies , and this pasta we used for our alphabet matching activity. 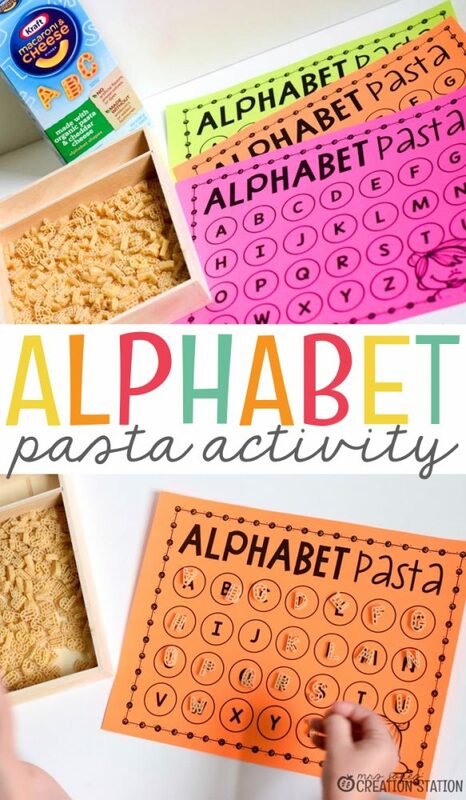 I found this alphabet pasta at Walmart and snatched them up for a learning activity. I made an alphabet page for my kiddos to match capital to capital and capital to lowercase letters. Simply download the alphabet pasta printable pages by clicking the image at the bottom of this post. Then print and laminate for durability. Pour the pasta into a container or bowl and set the purpose for learning with your kiddos. Do your learners already know their letters? Not a problem. 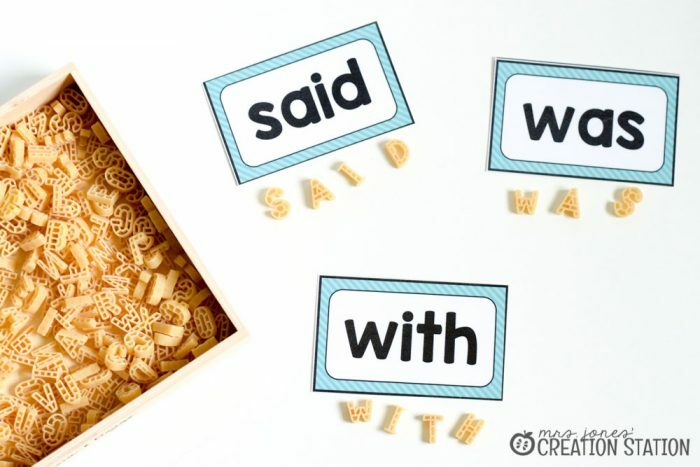 Differentiate this activity by having your learners make sight words, word families or vocabulary words instead. You can also spice things up a bit by dying the pasta different colors! Go Christmas, Patriotic or just plain colorful and bring the pasta to life for your learners. There are so many ways to create new and fun learning games for your learners including great activities for those classroom kitchens! Thank You Mrs. Jones for your dedicated direction towards Children’s Education. The children LOVE your unique means of learning.